Placed4Success was forged from a family background rich in film and television. 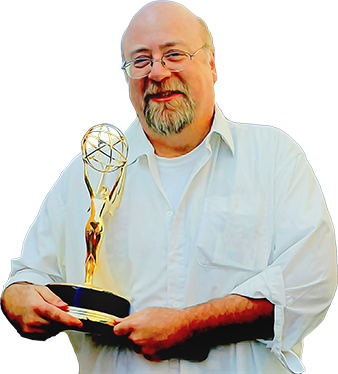 John (our founder) worked in television production for a dozen years for NBC, CBS, ABC and Paramount, before delving into product placement and multi-media marketing; first as VP for a well-known company, then striking out on his own to found Placed4Success. His main idea was that product placement is better suited to be hands-on, rather than simply running the business from afar. Placed4Success, located in Chatsworth, California, is less than 15 miles from all major studio lots which means that the all-important “face-time” (time spent talking face to face with Set Decorators and Prop Master) is at a maximum. This is our bread-and-butter, the thing that we do like no one else. To get your brand or products on Feature Film and TV, just give us a shout. We have placed clients at Film Festivals and special screenings all across the US. From products and brands integrated into On Screen showings, gift bag sampling, and Festival after- parties if You have the products – we got the hook up! from the Latin Grammys, to the Emmys, to the Academy Awards… From featuring your product/ brands in Music Videos with stars like J Lo., To an Marvel premiere…All this takes, is two things: 1) an intimate knowledge of the players - brought about by years in the business, and 2) money. The first, we have... If you have the second, and you want to play in the big leagues, give us a shout! Sometimes seeing YOUR product in the hands of a Star when they are "Offstage", can be an incredibly effective Media publicity tool. No worries, P4STV has the Contacts for this too! Whether you are looking to spend the money for a single Paid Celebrity Endorsement, trying to get a Celebrity Spokesperson, or intent on Placing your products into their hands - because you are hoping for an "Organic Endorsement' - P4STV can help! The Prime-Time Emmy’s, The Grammy’s, The Academy Awards! These are true Hollywood Iconic events… Events that can lend Hollywood Glamour and Star-Power to your Brands image. Events and Award Show Gifting can be a cost-effective way to showcase your product to the Hollywood community, and if just the right Star happens to like your product… The Sky’s the limit! © 2014 soteltalk All rights Reserved.